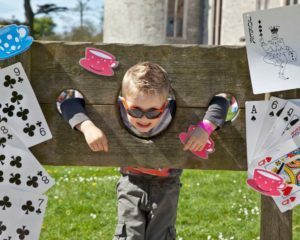 This Easter visit us ‘down the rabbit hole’ for some great family fun at Lulworth Castle. Join us every day from Friday 19 to Monday 22 April between 10.30 – 5pm. 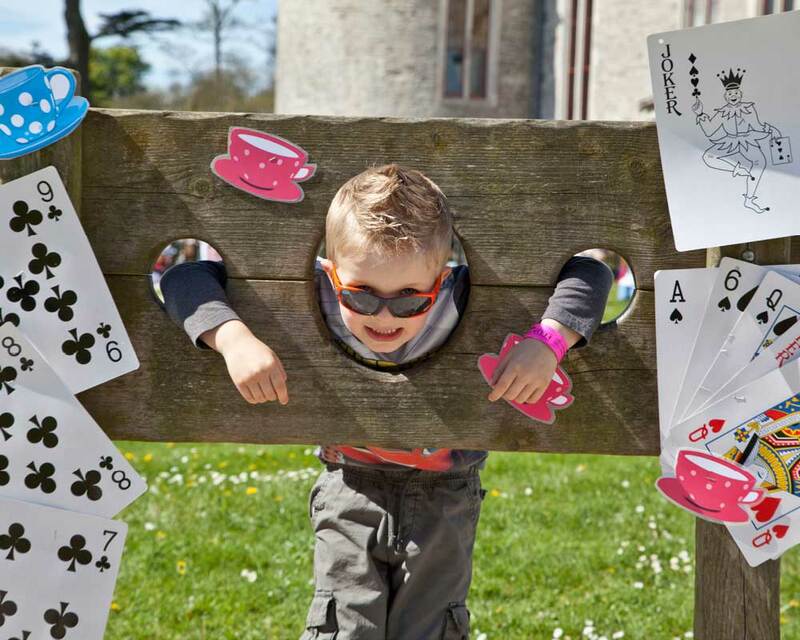 Inspired by the fantastical story of Alice in Wonderland, you can expect a whole host of fun activities including themed trails, Easter hunts, crafts, bouncy castle (weather permitting, age 7+), soft play for under 4’s, crazy golf and, of course, white rabbits and Easter Eggs!! Don’t forget to go and meet the Mad Hatter in the Castle whilst you’re exploring…Refreshments will be available including light lunches in the pop-up Courtyard Café. Cream teas, hot drinks, cakes and ice creams are available in the Castle Tearoom. Tickets include Free Parking. Adults £8, Child £6, under 4’s free. Family Ticket (2 adults, 3 children) £30. Tickets can be bought online here or on the day. Who doesn’t love jumping in puddles?! We will be open rain and shine over the Easter weekend! We have indoor ‘Alice’ themed activities to enjoy as well as the outdoor trails, games and egg hunt for those more adventurous! So wear your wellies and waterproofs or sunhats and shorts and come and have some wonderland fun with us! Sorry complimentary passes, English Heritage & Historic House memberships are not valid at this event. All content © Best of Dorset Attractions 2019 and its respective members.